Are you ready for the adventure? Let’s discover the locations in the Skanzen together, which were designed especially for children, and bring your family into this dream world too! 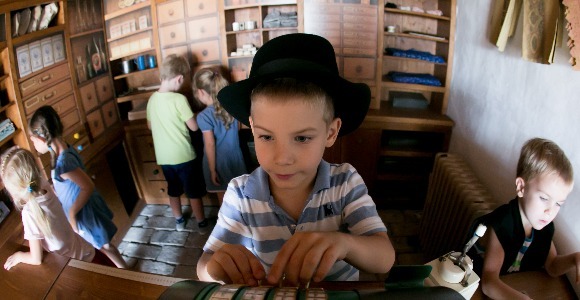 In the Little Shop you can get to know what a grocery store was like in the past, you can operate the cash register, wear the grocer’s apron or weigh out the products! In the Photographer’s Studio you can become a photographer, arrange a setting for a photo shoot, or you can try on old costumes as the model of the photographer. You can take the ready pictures home! Bogtrotter, hitting a target, walking pole, board games? 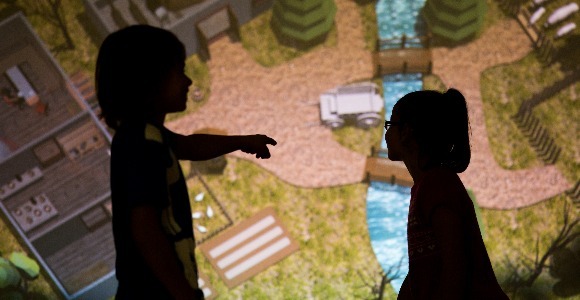 In the Game Yard you can discover the things children played with in the past. What was life like on a farm? How was milking, feeding and carrot planting carried out? In the Kid’s Farm you can become a real farmer! How are bread, milk, and sausage put onto the table? In the Magic Barn objects enlarged tenth their size fill the place, representing the elements of the peasant spread-table. Through the doors found on the enormous objects you can peek into the processes of making the given food. This is a Puppet Theatre, where you can be more than a spectator! What does it feel like to play with real puppets, behind a real, huge folding screen in a barn full of audience? Here everyone can act their favourite tale out, or free their imagination and can invent new stories too. What was used for lighting in peasant homes before the installation of electricity? How was fire lit in the open air, without matches? What was a long winter evening like beside the flame of a candle? All the answers can be found in the House of Light! In our exhibition we represent the methods of lighting with the help of games and animations, and we also highlight what kind of transformation followed concerning way of life after the general use of electric lighting. 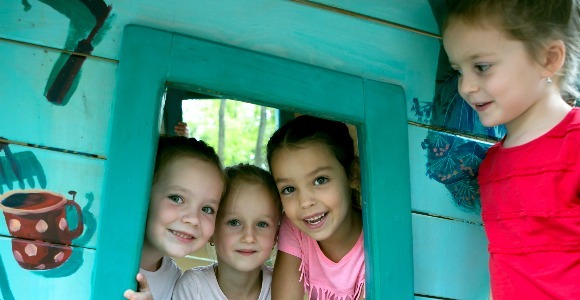 The Wood-house is an interactive display and a playhouse in a huge log-walled barn. Here we represent wood as a living and raw material. Smaller children can play with wooden toys, older children can get to know the characteristics of different trees and can try out their do-it-yourself abilities. 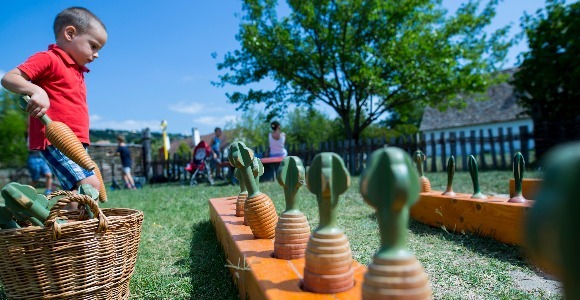 In the Tale-Garden Playground of the Skanzencharacters of old Hungarian folk tales come to life. If you have got tired during playing, spend some time in our open air recreational areas or listen to the storyteller in the Tale-Corner. The Skanzen has several adventures onoffer! Experience it with the discovery pack or look for treasures with the help of our new mobile phone application!